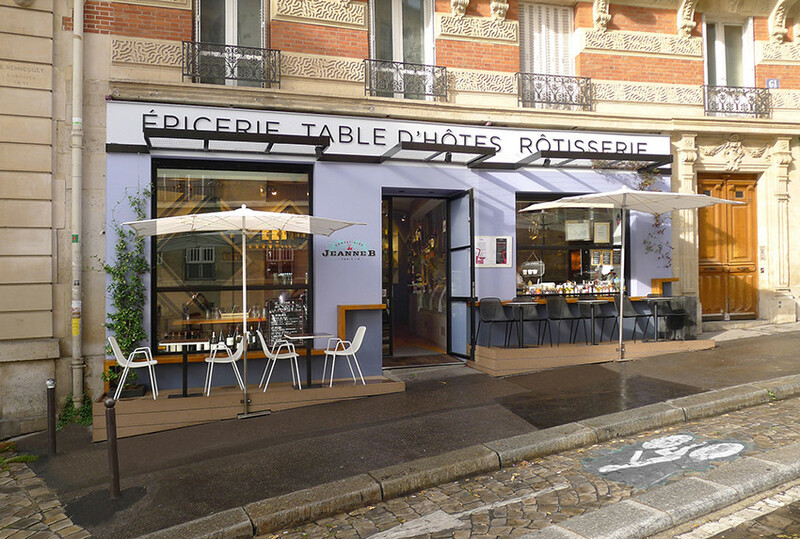 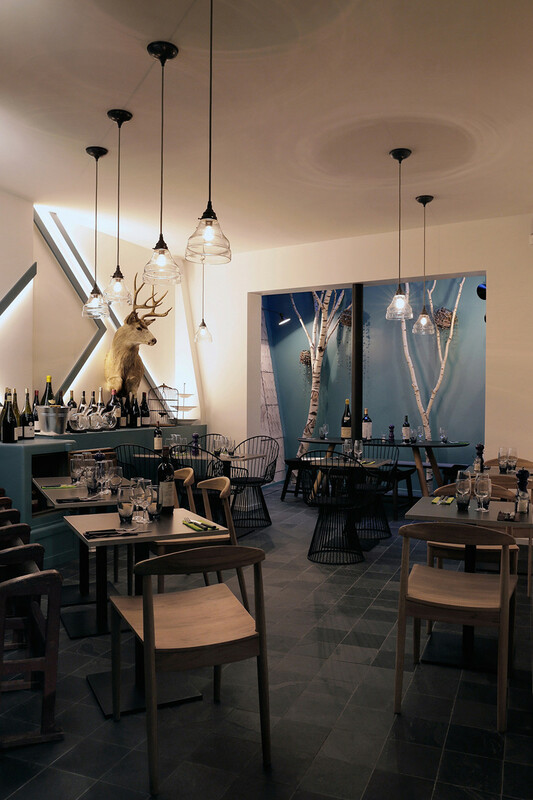 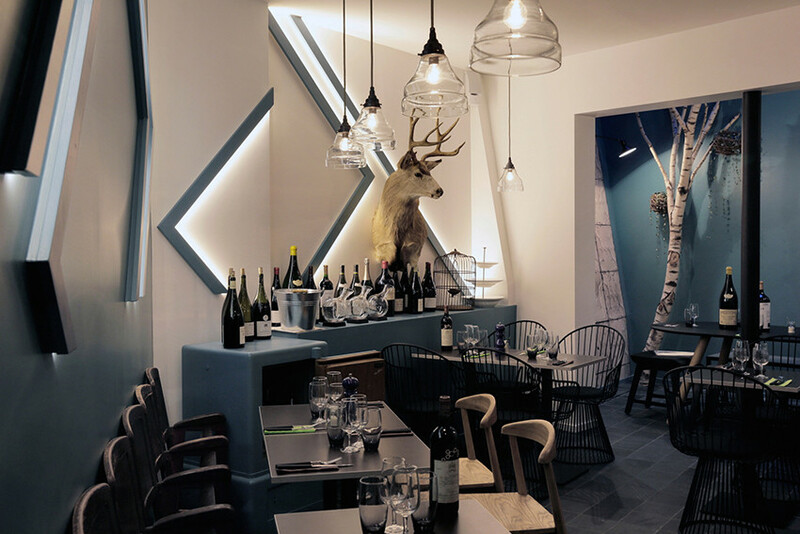 C comme C designed the atypical interior of the restaurant Jeanne B at the foot of Montmartre. 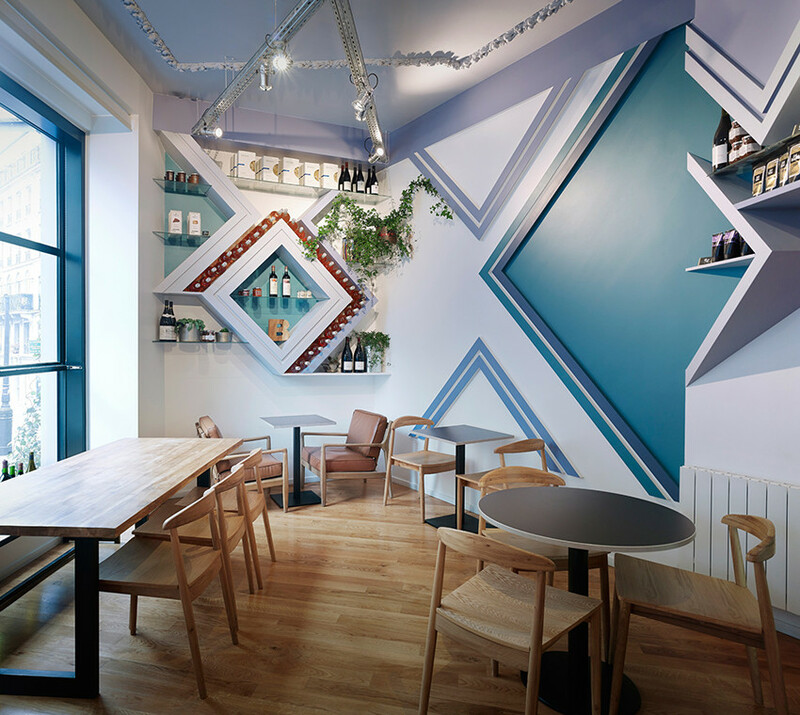 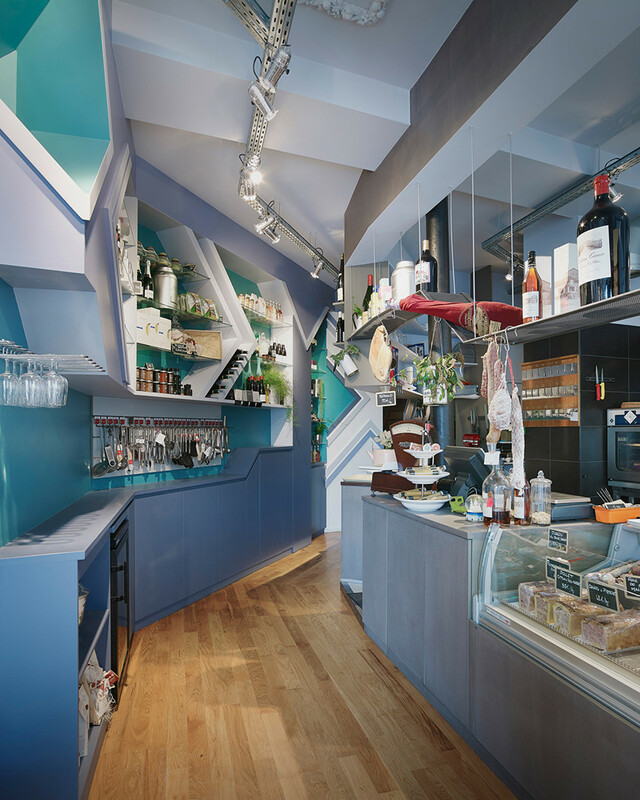 A former boutique was redesigned into a restaurant/food store inspired from the graphic-geometric patterns of the 1930s. 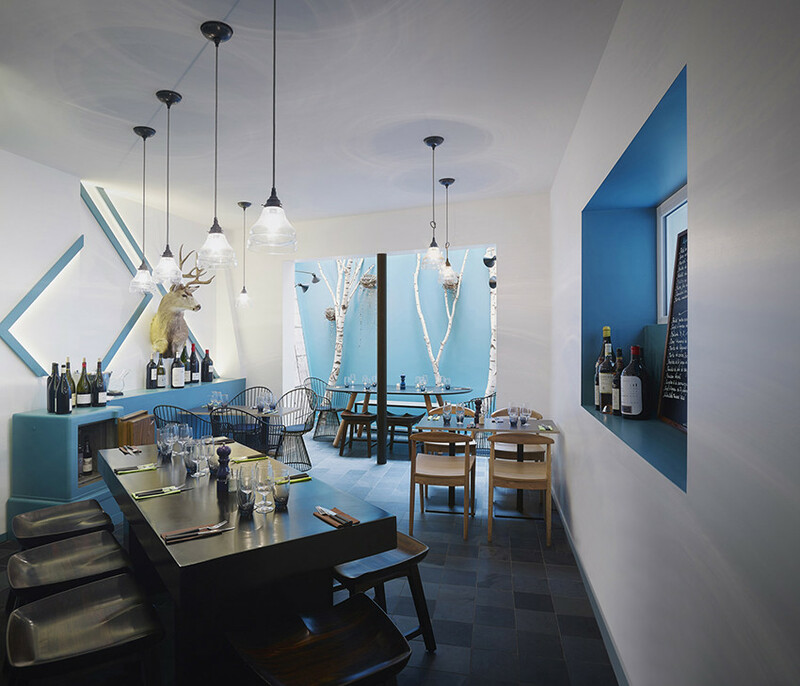 The open space combines a snug and friendly atmosphere with contemporary minimalism. 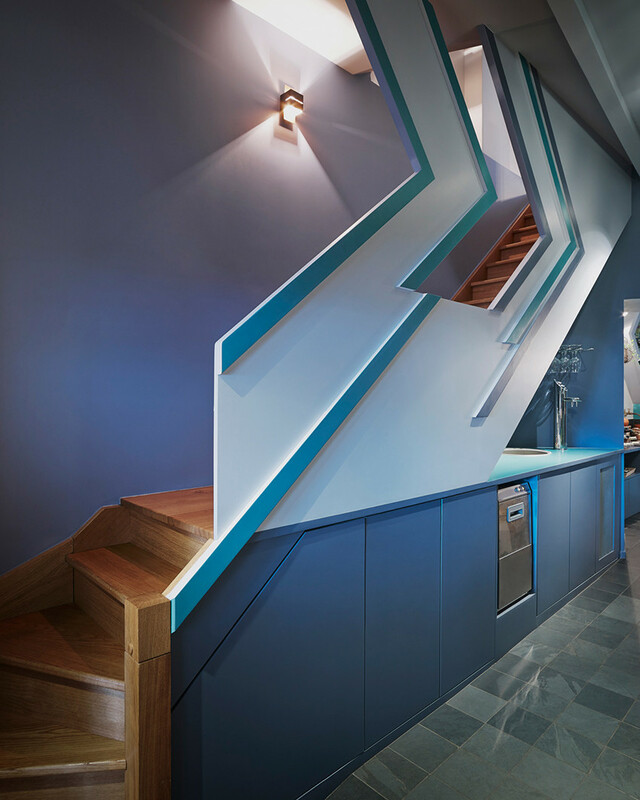 Blue and green tones dominate façade and walls, accentuated by furnishings in various textures and nuances of color. 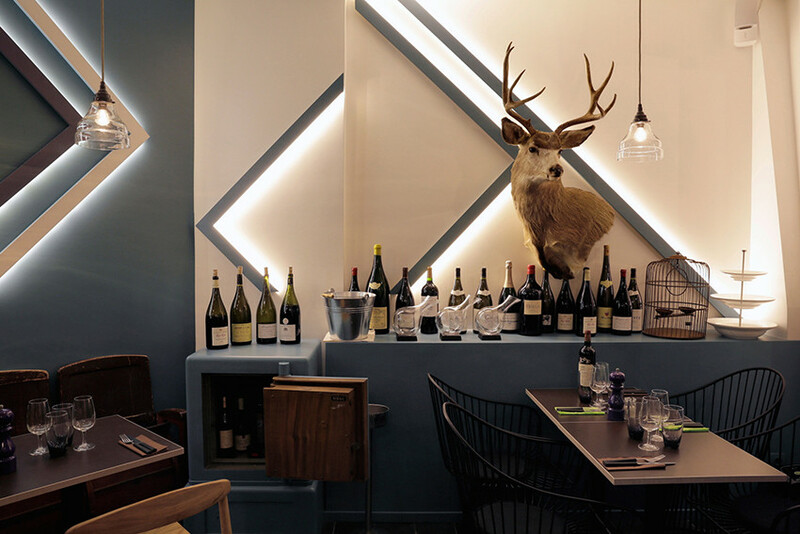 A cunning lighting design enhances the impression of space and is subtly adapted to the different moods of daytime.